This vendor is the most popular in the category with 72 reviews across 13 countries. Publish surveys for maximum exposure and booking impact. Beautiful single-page surveys right after the stay let your guests know you truly care. Ensure that customer’s voice is heard with timely and relevant communication. When it comes to turning a stay into an experience, it is easy to assume that hotels have the upper-hand. After all, they have the convenience of a wide array of full-time staff who get to see and interact with guests day-in and day-out. But that hardly means that serviced apartments are out of the running — they are in fact ideally placed to offer more than just a bed to sleep in, and in many ways may even find themselves at an advantage when it comes to offering what guests look for from a hospitality experience. What is it that turns a stay into an experience? “Who can really say what creates a memorable stay? It's often inconsequential things that one might recall about hotels, long after the brand of toiletry and corridor artworks have faded in the memory.” — Brian Johnston, Traveller Pinpointing what it is that turns a stay into an experience is no easy feat, but it is one that many have attempted. If you ask the community on Quora, it seems that a great experience is characterised by exceptional service, comfort and attention to detail. Anthony Melchiorri would tell you (and did tell Travel Market Report) that “you can have all the marble in the world and butler service, but if you have rude people that don’t take care of your needs, you don’t have anything.” Brian Johnston of Traveller would agree that “quirkiness, friendliness and character are, in this increasingly commercialised travel world, the greatest luxuries of all.” When it comes down to it, it seems that there are five characteristics that excellent experiences often have in common. Let’s have a look at each of them, and what gives serviced apartments the upper-hand for providing stays that guests will remember. 1. Uniqueness When it comes to hotels, it often doesn’t matter whether a guest is staying in a Hyatt in London or one in New York, they can expect the room, and the service, to be the same. Serviced apartments, on the other hand, find themselves at a great advantage for offering a different experience, often incorporating local culture, while still offering the creature comforts that guests look for. “Cookie-cutter hotels don't retain my interest for long, and don't create stories I can relate years later.... It's just a reminder that quirkiness, friendliness and character are, in this increasingly commercialised travel world, the greatest luxuries of all.” — Brian Johnston, Traveller When it comes to experiences, guests are often not looking for what makes a stay the same as every other, but what sets it apart. While some serviced apartments make efforts to keep their style consistent, and others aim to have each apartment reflect its own unique style, all can reflect the city in which they can be found. Two apartments in the same building can look worlds apart, making the experience in those two apartments different from the outset, or two apartments worlds apart can have the same basic features, while still incorporating local art or cuisine to make the experiences within them unique. 2. Comfort Soft sheets, feather pillows and carpets that anyone would want to sink their feet into are comforts that hotels and serviced apartments are both equally equipped to offer. But once again, serviced apartments have the opportunity to provide comforts that most hotels simply can’t afford — those of space and home comforts. It is rare to find a hotel that makes a guest feel at home — as luxurious as any hotel might be, it’s unlikely that guests will want to venture from their rooms barefoot, or feel that they can pop down to the restaurant for a quick cup of coffee in the middle of the night in their pyjamas. But these are things that a guest wouldn’t think twice about when staying in a serviced apartment, because they haven’t just been allocated a single room within a property — they have been given the run of an entire apartment. They may not be willing to venture outside of the apartment barefoot, but they don’t need to — everything that they need, from a space to sleep, to a kitchen that they can make coffee or a midnight snack in, to a couch on which they can put their feet up and watch whatever they choose, comes standard, without the need to leave the comfort of their own space. It’s this luxury of space and the availability of creature comforts that put serviced apartments in the perfect position to provide an excellent experience. When guests arrive at a serviced apartment, it’s already far more than just a place to rest your head. It’s a space to relax and make yourself at home. 3. People When it comes to serviced apartments, there’s often a tendency for staff to form more personal relationships with guests than they would be able to at a hotel, since those staff are often be the point of contact for everything that guests need, and serviced apartment staff are accustomed to forming relationships with guests who are frequently there for extended lengths of time. These more personal relationships benefit both staff and guests. Guests will feel better looked after, their needs taken care of without the inconvenience of trying to find the right person to speak to; while staff will have the opportunity to personalise the guests stay, accommodating their preferences and pre-empting their needs. “You can have all the marble in the world and butler service, but if you have rude people that don’t take care of your needs, you don’t have anything.” — Anthony Melchiorri, Travel Market Report But it’s not just the opportunity to form personal relationships with staff that gives serviced apartments an advantage when it comes to people and their role in turning a stay into an experience. One of the benefits that many serviced apartments offer are communal spaces — from laundries, to gardens, and more — which provide guests the opportunity to interact with each other, far more so than they would do if they were only passing each other in a hotel hallway. Guests’ visitors are also often made to feel more welcome in serviced apartments than they would be in hotels, as the increased space (and often multiple rooms) that a serviced apartment offers is more suited to entertaining than a hotel room. 4. Exceptional Service Because serviced apartment staff tend to become accustomed to building relationships with guests who are, on average, at the establishment for longer periods of time than hotel guests, a culture of personalised service, and appreciating guests as individuals (rather than the occupier of room 34 for the night) tends to develop in many serviced apartment properties. As George Westwell, director of Cheval Residences, describes, his staff have “the luxury of time to actually engage with guests, which most guests enjoy as well. It builds it almost into a friendship.” “One story that sticks in my mind was from a colleague who had worked in a major group hotel. On talking about her previous job, she said: ‘We're firefighting all the time. All the time there are guests coming in, so many problems occurring, that we didn’t really get a chance to engage with the guests. But here, at Cheval Three Quays, it's brilliant, because we’ve got so much time to engage with the guests!’ She told me about one guest who goes out at seven o'clock in the morning to get his cup of coffee and then always brings her back a cup and chats for five minutes.” — George Westwell, Cheval Residences Because serviced apartment staff get to know their guests over a longer period of time, they can be prepared to greet friends and family of the guests by name, welcome them with open arms, or even just acknowledge that they know who they are there to see. These are opportunities rarely afforded to hotel staff, simply due to the number of staff interacting with each guest on a daily basis, and the number of guests that staff interact with daily in turn. 5. Attention To Detail Sometimes it’s not big, earth-shattering, mind-altering moments that make for a great experience. Sure, going bungee jumping or seeing Paris from the top of the Eiffel Tower for the first time would make a trip an experience to remember, but it’s often the moments in between that truly make an experience memorable, and it’s these moments that accommodation providers, and serviced apartment providers in particular, have the opportunity to provide. It’s attention to detail, from details about guests to details about the accommodations themselves, that sets serviced apartments apart. Attention to detail when it comes to guests goes back to having great people and providing exceptional service — the better opportunity that serviced apartments have to make note of personal preferences, and to form a relationship with guests provides them with the opportunity to pay closer attention to the details of a guests stay. It can mean making sure that a guest’s favourite coffee is waiting in his apartment on his return from a long day, noting which paper she prefers to read on her taxi ride and having it ready and waiting for her at reception, or having a vegan, gluten-free recipe at hand when a guest returns for dinner, because the cleaning staff noticed the lack of meat and bread in the kitchen. When it comes to the apartments themselves, attention to detail can mean making the style an experience in and of itself — a Victorian style to an apartment in London, for example, would provide a very different experience to an apartment with a modern feel, and it would be the details between them that would often set the two apart. Whether it’s about their unique style, the luxury of space and domestic comforts, the personal touch and exceptional service that the people who work there are able to provide, or attention to detail, because serviced apartments provide so much more than hotels in terms of accommodation and personalisation, they in turn have the opportunity to provide so much more in terms of experience. Some properties think of TripAdvisor as their best friend, others their worst enemy. But when it comes to online reviews, it is the one place that every hospitality professional turns to. There can be no denying the impact that the review giant has had on the hospitality industry, and Sally Davey knows this all too well. From competing with TripAdvisor with her own start-up, Tripbod.com, to becoming a valued member of the review giant’s international team, Sally has seen the industry shift over the years, and has seen the role that TripAdvisor, and guest reviews, have played in this evolution. She speaks to us about the importance of online reviews in levelling the hospitality marketing playing field, the value of management responses, and so much more. Tell us a bit about who you are, and what your position is. I head up Industry Relations at TripAdvisor and am responsible for the company’s non-commercial relationship with industry. My team focuses on listening to feedback from the industry and identifying opportunities to improve operations and partnerships, as well as ideas for thought leadership projects. This often leverages TripAdvisor’s unique data asset to help provide the industry with leading indicators of forthcoming market changes. What was your first job, and how did you come to work for the largest travel review platform? My first job was in a local pub in the Lake District, UK as a kitchen helper and then waitress. I continued working in hospitality throughout university before starting my own travel company. This grew into a business called Tripbod.com which TripAdvisor acquired in 2014. How did you first come across TripAdvisor — was it as a potential employee, as a competitor, or as a reviewer — and what were your first thoughts about the company? Being an entrepreneur in the space I couldn’t not be aware of TripAdvisor. Lots of my local partners, when I was building Tripbod, were great fans of TripAdvisor, but as a start-up I wanted to disrupt it! At the time I felt TripAdvisor was doing a great job being the world’s largest platform for reviews and opinions, but that smaller businesses like mine could do a better job of personalising the experience. The challenge, of course, was getting to market. When I was introduced to the Head of Product at TripAdvisor at the time, I was keen to see if there was a business development opportunity. What I didn’t expect was to be so deeply impressed by the people I met that day and the company culture that came across. It turned out they were investing heavily in personalising the user experience and making some great strides, so it was an awesome opportunity to have impact from within — which I think they now call ‘intrapreneurship’! Do you think that the founders of TripAdvisor ever imagined how far the company would grow? I think you always go into business with ambition and dreams, and Steve (TripAdvisor’s co-founder, and still our CEO) certainly does not lack vision! But there is also an element of organic growth to success, and having your users define your direction. As a company, we listen to our users – both industry and consumers – all the time so we can ensure their input is central to our decision making. I think some things have changed significantly since TripAdvisor’s inception, and others not at all. The company still has the same ambition as it did on day one — to help real travellers share their real insights into real destinations, which goes far beyond the sales pitch of a glossy marketing brochure. How we do that, and indeed how the industry engages in that with their own opinions, has evolved enormously. And thankfully our user experience has changed dramatically. Nowadays we don’t bombard you with pop-up windows like everyone did in the ‘good old days’! Has the role of feedback changed since it has become freely viewable (and freely voiced) online through platforms like TripAdvisor? I think the role is still the same – to share feedback with a service provider that either gives well-deserved praise or gives suggestions for improvement. The difference now is that more opinions are shared and that is a really good thing. Some people just don’t feel comfortable giving feedback there and then in person, even if it is a glowing report, so it’s important for people to have their say in the way they feel comfortable sharing. This then benefits others considering booking with that same business, and can really help raise the profile of businesses that otherwise would struggle to achieve the same brand reach as competitors who have bigger budgets but possibly not as great service. TripAdvisor is a meritocracy that creates a level playing field based on quality, and that has made a meaningful impact on a lot of businesses in lots of parts of the world. 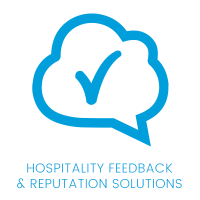 What would you say the role of guest feedback is in the hospitality industry? Every industry cares what its consumers think, especially if they want those consumers to come back. In hospitality, this is all the more important because travel is such a high-spend and high-emotion purchase. We have seen over the years that reviews help improve standards and reduce costs for businesses in paying for market research — they have what they need right there in the reviews for free! We also have third-party data to show that improvements in service quality and therefore review score leads to increased demand and revenues, so guest feedback really can be the start of a highly virtuous circle. How would you say that TripAdvisor has changed the landscape for feedback? You only have to walk around a destination and count the TripAdvisor stickers in windows to know the impact has been significant. Businesses want to collect reviews, for all the reasons above, and because it gives them further opportunity to stand out from the crowd. As travel consumers, we are all individuals with different tastes and needs, and those differ depending on the type of trip we are on, so it’s critical that we connect the right consumer with the right property, based on their needs at that time. TripAdvisor is working hard on doing that better than ever and that means it’s a fantastic opportunity for all businesses on our platform to access the market. What would you say to properties who view TripAdvisor reviews as damaging to their brand? The vast, vast majority of TripAdvisor reviews are highly positive and we know that most people want to praise the brilliant service they have experienced. It’s also important to share critical feedback when appropriate, because it raises standards across our industry and ensures transparency. We hope that businesses see that as an opportunity to shine, and that one poor review within a large number of positive ones does not negatively impact their business. What’s more, with the manager response tool, the last word goes to the business owner which really is a huge benefit. So I would always suggest businesses view critical feedback as an opportunity to thank the reviewer for their feedback, use it as an opportunity to improve and also to actually attract more business – we know, for example, that thoughtful management responses can actually increase future bookings, so there’s really nothing to lose! If you could give one piece of advice to hospitality professionals looking to improve their listings, what would it be? Make sure you engage, frequently and thoughtfully. As mentioned, management responses are invaluable, but so too is current content. Make sure your listing content is up-to-date and consider seasonal adjustments to ensure you are really appealing to travellers who are thinking about booking right now. Photos are extremely important, especially of the inside of your property so it’s worthwhile investing in some great shots. 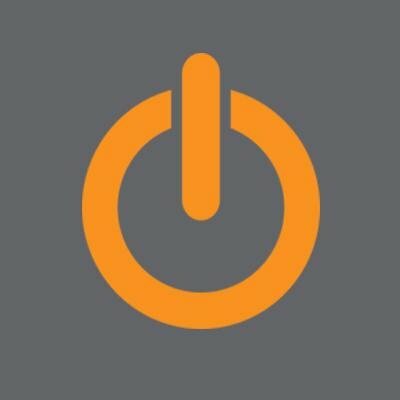 Is there a review or response that sticks out in your mind as portraying the value that this kind of platform holds for hotels? I was in Cape Town a few years ago and met a wonderful entrepreneur called Siviwe who had grown up in the Langa township. He wanted to start a tour company to show visitors to the city a different side of local life, from the perspective of his own community. One day someone told him about TripAdvisor and so he started asking customers for reviews and his business really grew as a result. Using his business success for good, Siviwe founded an incredible youth charity in that same township, which has been a major success and contributed to hundreds of children’s education in his community. For me, that reflects the power of a great entrepreneur and also of how TripAdvisor can really be an opportunity to grow great businesses – making sure the voices of the most brilliant and passionate business owners are heard by the visitors who are looking for the best experiences in a destination, regardless of where they are from or what marketing budget they have. What is the best hotel that you have ever stayed in, and why? I have been very lucky to stay in some remarkable places. I’ve experienced the high end of the market, such as incredible ethical safari lodges in South Africa, as well as very small, low-key properties like amazing pubs in the Lake District that wow you with their service and personal flair. Each experience is so different that I couldn’t possibly choose just one! What I will say is that, for me, the link that connects all the best places I have stayed are those that take their responsibility seriously — to their local community and environment. I consistently find that those businesses also deliver the best service and experience, so that’s what I look for when I travel. What is guest feedback and hotel survey software? If you are running a hotel today, there is only one thing that truly matters at the end of the day - that your guests are happy and would recommend you to their friends. Accepting that, you have a choice, either: (a) guess how you should operate using your gut feeling and manually figure out how every change affects your guest satisfaction or (b) automate asking your guests for feedback and let the data tell you how you’re doing and what you should improve. The latter, is what Guest Feedback Software is all about; asking for, responding to, sharing and analyzing feedback from your guests in order to improve and achieve higher guest satisfaction. How can guest feedback and hotel survey software improve profitability and efficiency? Hotel survey software brings an unparalleled level of employee accountability. No matter to what extent your operation is automated, at the end of the day your guest experience is the sum of all the individual contributions of everyone working for your property. By automating the collection of feedback from real guests you get fair, reliable and constructive feedback to share and learn from. Using quantitative feedback you can set clear measurable goals for your employees to strive towards. This level of accountability ultimately creates a culture of kaizen or continuous improvement at your hotel. A modern guest feedback platform lets you improve your hotel operation in two distinct ways: 1) Systematic collection of qualitative feedback help you collect and prioritize ideas straight from your guests. 2) Intelligent use of meta-data such as room number allow you to do A/ B-tests, for example performing experiments in a specific room and see how that affects satisfaction for guests in that specific room. While ORM (online reputation management software deals directly with online reviews, your guest feedback and hotel survey software is your first line of defense. Feedback is everywhere no matter if you ask for it or not. When a guest is unsatisfied for some reason, actively and automatically asking for feedback gives you a chance to listen to the guest and solve the issue before the experience results in a bad public review, visible online for the world to read. Actively listening to your guests and showing a will to solve issues is the best possible way to turn a detractor into a promoter. What are the most important features of guest feedback and hotel survey software? Benchmarking: Benchmarking of your guest satisfaction using standardized key values will ensure you truly know how you are standing vs. your competitors. Providing a reference ensures you actually focus on the right issues. Responsive Survey Design: The importance of mobile devices should be obvious and old news in the year 2018. Surveys that look and feel great on your guests mobile devices is simply a necessity to receive feedback today. Import Meta-data from PMS: If a guest for example mentions that the shower head is broken, by knowing the room number the guest stayed in you can immediately fix the problem. Guest Feedback Thread: If this is the 3rd time the guest stays at your hotel and 2nd time they provide feedback, a system that maintains this history about the guest will facilitate a lot more personal communication with the guest. (Beware to do this in compliance with the GDPR though!). Response Management: Often guests will simply hit “reply” on the mail asking for feedback, rather than clicking the link and filling in a survey. Any vendor that sends surveys from a “dont-reply@vendor.com” will miss a lot of important feedback and booking requests. What makes great guest feedback and hotel survey software? Improves Net Promoter Score (NPS): Net Promoter Score is the gold standard for measuring customer loyalty/satisfaction. Commitment to an NPS-based system is guaranteed to increase your NPS. When asked for likelihood to recommend on scale 0-10: NPS = (% promoters) - (% detractors), Where promoter is anyone who have answered 10 or 9, detractor 6-0. Improves online ratings: Your online reviews go hand-in-hand with how satisfied your guests actually are. Commitment to guest satisfaction and an NPSbased system will improve your online rating. Direct RevPAR impact: Hotels with more satisfied guests will see a higher rate of returning guests, more guests arriving thanks to recommendations and more new guests thanks to good online reviews - all together improving your RevPAR. What is the typical pricing for guest feedback and hotel survey software? For a standard implementation with no special requirements or integrations to proprietary/in-house/legacy-systems there should be no implementation costs at all. Otherwise except IT-consultant hourly charges for custom integrations and hotels can expect up to $3,000 in implementation/integration fees off the bat. With the broadening of scope of products in the category the pricing is getting more complex with a wide range between $50/$350/property per month. However, for a pure Guest Feedback & Reputation Management system for a single hotel, expect around $100/month. How long does it usually take for a hotel to implement new guest feedback and hotel survey software? 3) Management training on how to analyze feedback and set strategic goals A good feedback platform should be easy enough to use that staff training is not required to get started, but rather for learning/discovering “advanced features”.